Boston-based Duck Creek Technologies have selected the SoAmpli platform to power their company-wide social selling programme. A leading provider of property and casualty (P&C) insurance software and services, Duck Creek’s tech is used by thousands of insurers of all sizes worldwide, including the likes of Geico, AON, AmBank Group and Progressive. As a B2B tech supplier, Duck Creek was looking for a simple, compliant and effective way to enable their sales team to utilise social media as a sales tool, while increasing the ROI of their marketing content and powering brand awareness. SoAmpli offered the perfect solution. 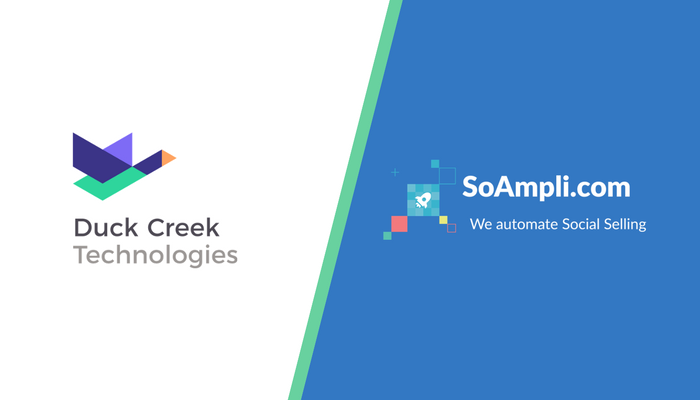 Through an extremely intuitive interface and a customised approach to user onboarding, the SoAmpli team will help train and activate 250 members of the Duck Creek sales team in Q4 of 2017. “In the current B2B landscape, making sure salespeople have everything they need to identify, engage and build relationships with prospects on social media has become an imperative. 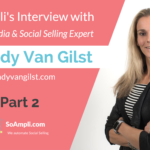 We have chosen SoAmpli because it provides both the technology and the kind of experienced onboarding support we need to make our social selling programme a success”. “It’s amazing to see more and more B2B companies embrace the power of social selling to generate business growth. 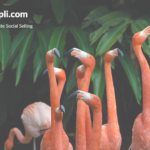 Duck Creek’s company-wide social selling programme, powered by SoAmpli, is yet another example of an innovative brand getting ready for the future of sales”. As part of the partnership with Duck Creek, SoAmpli will provide social selling software as well as a customised training during the company’s global sales kick-off in Boston in September and additional online training for all users. Duck Creek gives P&C insurers a genuine path to the future with advanced technology grounded in decades of industry expertise, responsive to the unique challenges of each carrier, and shaped by the day-to-day of human behavior.